Although his family was considered quite wealthy in Viet Nam, his mother knew that her children would not be able to learn the trade that would sustain that status. Thomas Tong was brought to the United States with his three siblings and his mother in 1979 to give them the opportunity they would never have otherwise. They were from an island that had no running water and no electricity, so at the age of seven, arriving in Los Angeles International Airport two days after Christmas was more than dazzling to Thomas as he marveled at the holiday lights. They stayed in a one-bedroom apartment with seven other families, until their sponsor was able to move them to the East Bay and help them through the citizenship process. He went to Mont Eden High and in 1997, graduated from Cal State Hayward (now known as Cal State East Bay). After graduation, he traveled to Europe. When he came back from Spain he got a job at E-Trade and obtained all of his licenses, including his Series 6 & 7 among others. He was living with his sister, when his mother talked about her friend’s daughter. Thomas wasn’t even aware that she had children, but his sister invited her over. When she arrived, Thomas snuck a peek and ran out the other door, when he saw how beautiful she was. The next time he saw her, he wanted to ask her out, but after talking to her, she asked for his number… to get more investment advice. He vowed that the 3rd time would be a charm. He finally got up the courage to ask her out. After dating for a while, he bought Briana an engagement ring, and much like asking her out, it took him four months to propose… on a bridge in the middle of traffic. Almost ten years ago, his view of the Market changed, and with his wife’s support, he gave up all of his licenses. Thomas started getting into life insurance, but discovered that he was a terrible salesman – he could talk someone into it, but then right back out again. He thought about getting his CCIE Cisco certification, but knew that he would become discontent again unless he went with something he was passionate about. That passion would become watch-making. He loved to “tinker” and figure out how things worked. They had a friend that was a watchmaker, who after much convincing granted Thomas a two-year apprenticeship. His wife was the sole wage-earner in their house during those two years. Briana’s then went to WOSTEP a Swiss certified program and now works with Thomas. He started off polishing and then learned the lathe. He spent his first six months on his hands and knees looking for tiny parts that he had dropped. During the two years, his friend not only taught him watch repair, he showed him how to run a successful business by taking care of the customer. Finally, in 2011, he had the certification from the American Watchmakers-Clockmakers Institute and the experience he needed to open his own shop. 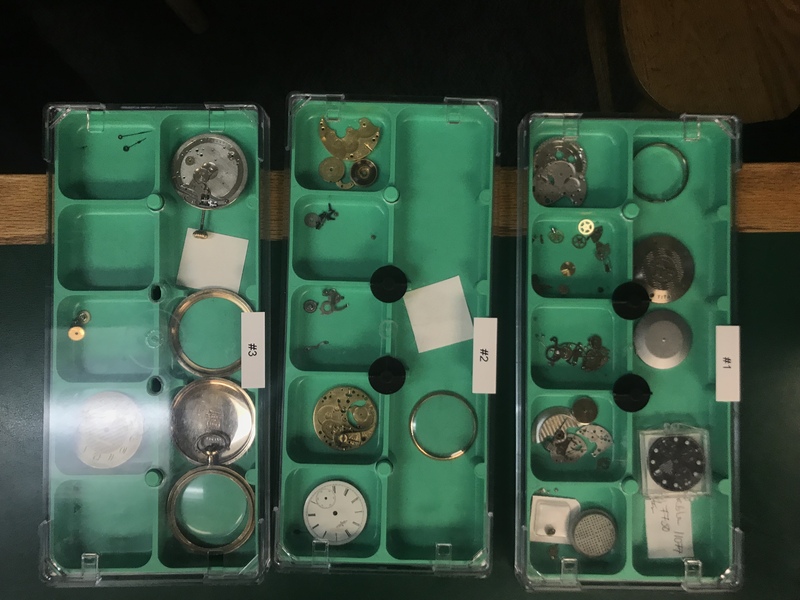 Always with the thought in mind that this is a gift or family heirloom that means a lot to his client, Thomas begins a repair by taking the watch apart and meticulously placing each piece in its own case. He polishes the band and cleans each part, kept in a compartmentalized box. Watch repair requires very specialized tools, of which some are only used on one make and model. He always uses “finger cots” to avoid any fingerprints, oil or moisture that may transfer from his hands. Some missing or damaged parts, unavailable from the manufacturer, have to be tooled, which provides him with great challenges. Other parts require AWCI certification to even be obtained. Much of the work has to be done using a jewelers loop or microscope, and always requires a steady hand. Since the average age of AWCI members is 64, Thomas’ business should prosper well into the future. The average watch repair would cost 30% more at any other shop, but Thomas keeps his prices down and creates customer loyalty. The average price to tune up a Rolex is $450-500, elsewhere that would be $600-800. His most common repair is battery replacement, which should be done immediately after it stops to avoid damage to the watch. If your watch needs a major repair, tune-up, or only a $10 ultrasonic cleaning, trust only a true craftsman and call Thomas Watch: 872-0108. 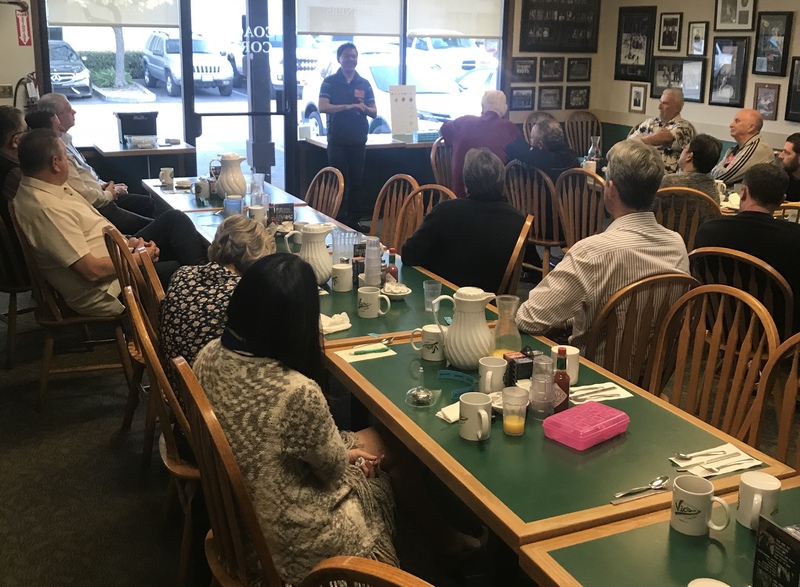 The next meeting of the Tri-Valley Executives’ Association will be held on February 15th, at Vic’s All-Star Kitchen at 7:00am. February 22nd – Manny Martin of Amador Valley Property Management Co. The pot of the TVEA 50/50 Raffle is $200 and 4 white marbles ($5), 0 blue marbles ($10) and 1 red marble (takes the “pot”).